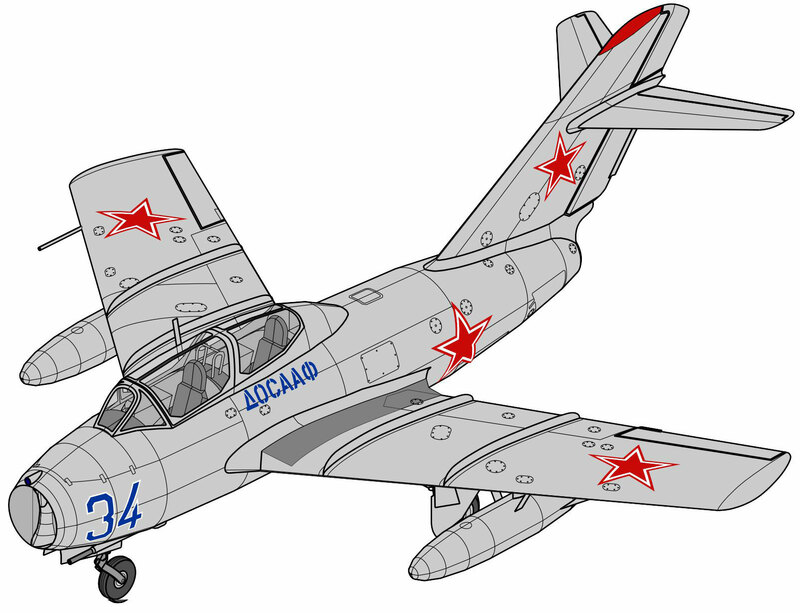 The Mikoyan-Gurevich MiG-15 (NATO reporting name Fagot) is a jet fighter aircraft developed by the Soviet Union. The MiG-15 was one of the first successful jet fighters to incorporate swept wings to achieve high transonic speeds. 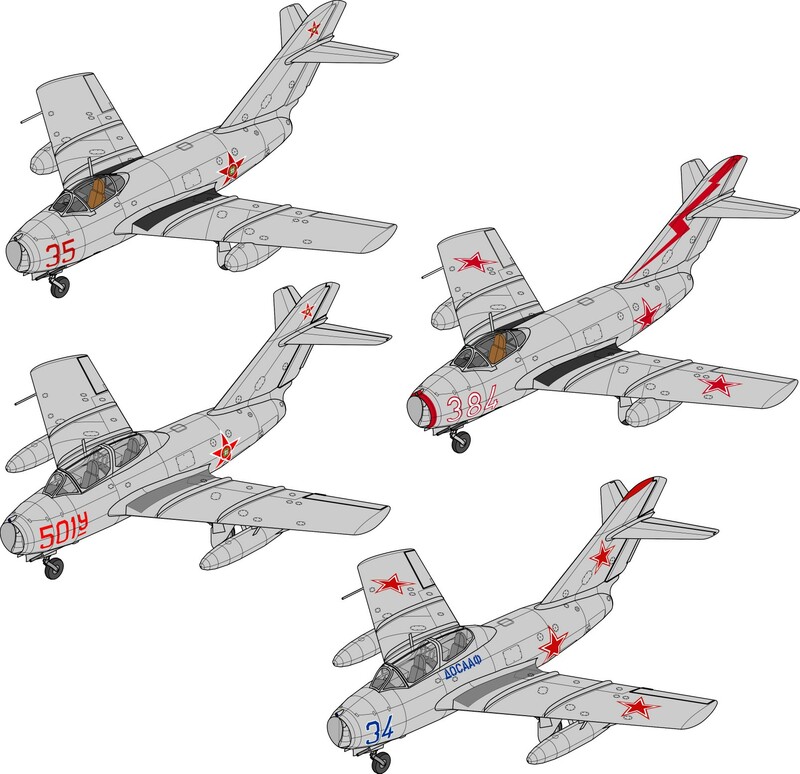 In combat over Korea, it outclassed straight-winged jet day fighters and was quickly countered by the similar American swept-wing North American F-86 Sabre. 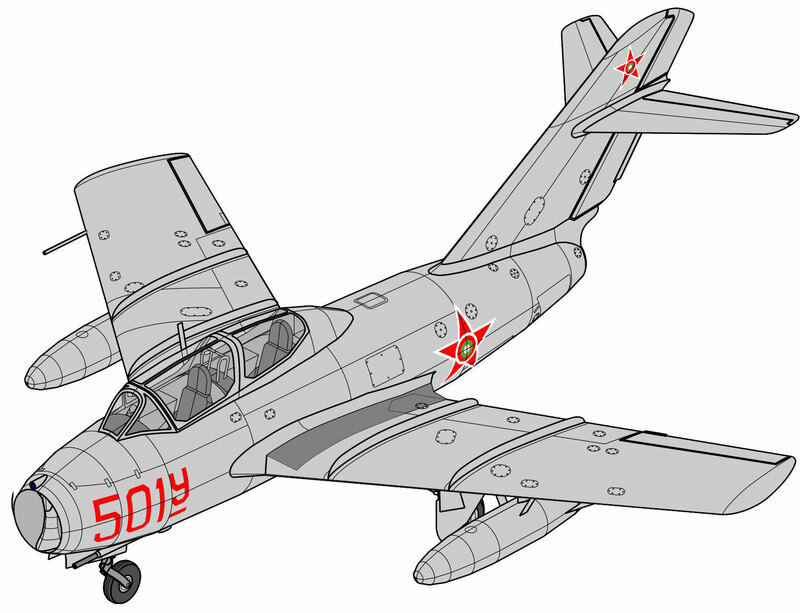 The MiG-15 is often mentioned, along with the F-86 Sabre, as the best fighter aircraft of the Korean War.